Your morning coffee has the power to wake you up, make you more productive and get you through that first meeting of the day. But does it have the power to change the lives of the people who produced it? Colombian, Costa Rican, Ethiopian, Jamaican Blue Mountain. There are a lot of choices that you make when deciding which type of coffee to buy. 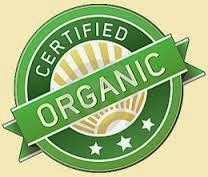 In recent years even more choices have become available- Fairtrade, Rainforest Alliance, UTZ Certified, CAFÉ Practices, organic. These are sustainable coffee certifications that you may have seen indicated in the form of a little stamp on your bag of coffee. 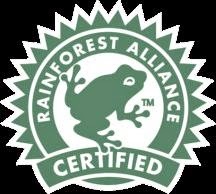 These certifications indicate to the consumer that the coffee was produced in a certain way—without the use of conventional chemicals in the case of organic, in a way that preserves biodiversity in the case of Rainforest Alliance, or in a manner that supports cooperatives of small farmer in the case of Fairtrade. In some cases the farmer is paid a premium to incentivize these changes. Coffee is commodity and is traded on the New York Stock Exchange. The world price of coffee varies with the world supply. Droughts in Brazil, coffee rust in Guatemala, increasing production in Vietnam and conflict in Africa can all affect the price that we pay for our morning cup of coffee. It’s easy to imagine how low prices can be devastating coffee farmers, who may go into debt or respond by seeking other employment and neglecting their coffee crops. Improper management can cause disease to quickly spread, lower yields, cause an undersupply on the world market and a subsequent rise in prices. It may be surprising to think that artificially high prices can cause problems for coffee farmers as well. High world coffee prices can mean that farmers over invest in coffee production, bringing new areas into cultivation, becoming overly dependent on an unstable commodity and ultimately causing an oversupply and a repeat of the cycle. I was curious to know if sustainable coffee certifications could alleviate some of this fluctuation and lend a little more financial stability to the life of a coffee farmer. By surveying all of the Costa Rican coffee cooperatives which participate in sustainable coffee certifications, I found that some certifications seem to help protect farmers from the lowest prices. 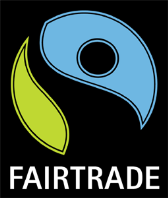 Fairtrade in particular, because it offers a minimum price to farmers, can even out the price fluctuations by mitigating market lows without augmenting market highs. 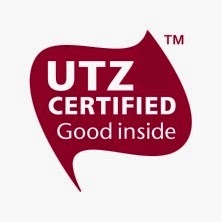 Rainforest Alliance, Utz and organic certification can also help to some extent, since farmers tend to sell their crops with certification when the market is low, benefiting from the certification premium, and selling their crop to conventional (uncertified) markets when the price is high, possibly avoiding the costly audits that come with certification. However, the benefits are limited because of the small amount of coffee that is sold under certification relative to the amount that is verified that it was produced in a standard-compliant manner. In other words, the global supply of certified coffee far outweighs the demand. In 2012 3,300,000 metric tons of certification-compliant coffee were produced but only 840,000 MTs were sold as such, making the supply nearly four times the demand. But the demand for certified coffee has been growing every year, and as consumers begin to demand certified coffee, more farmers will benefit.